book – Learn. Teach. Write. Share. Sean Covey made a big splash in the world of self-help writing with his best-selling 1989 book, The 7 Habits of Highly Effective People. Often placed on a pedestal next to other classics like Dale Carnegie’s How to Win Friends and Influence People, Covey’s 7 Habits… created a recipe for personal and professional success that has transformed the lives of those who have read and followed its sage, yet practical advice. The concepts are simple ones, yet can take on powerful meaning with the right perspective. Covey has followed up on the success of 7 Habits… with a variety of other books built around numbered lists of habits, decisions, and reflections. 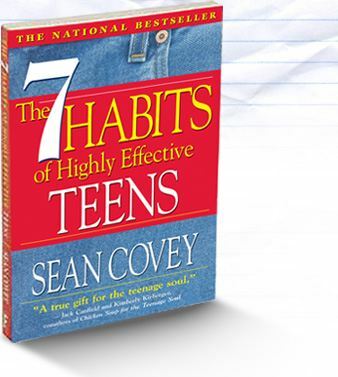 One of the best of these follow-ups is The 7 Habits of Highly Effective Teens .